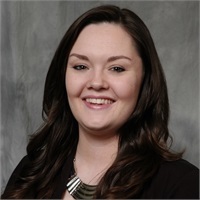 Lindsey Butler joined CFS in the summer of 2018 in a newly created Client Resource Coordinator for Steve's Nikkel's office locations. Lindsey brings a great background to this role due to her experience at resolving issues for CSB online banking clients. Knowledgeable and a great voice on the phone, Lindsey will increase the communication necessary for excellent service and continued growth. Close to our own roots, Lindsey grew up in Marion, KS. Lindsey and her husband, Tyler, recently relocated from Newton to Halstead where they raising their three young daughters, Alayna (5), McKenna (2), and Rylee (1). The key aspect of Lindsey’s role is that she will be able to talk with Steve’s clients beyond traditional hours as she will be conducting her work from both home and office locations, allowing her the time to raise her daughters. Additionally, Lindsey enjoys donating time to Big Brothers and Big Sisters, as well as Relay for Life.